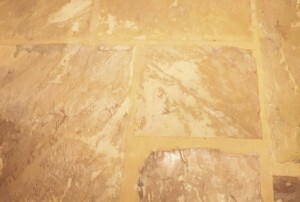 We cleaned up these flagstones in a local hotel, the stone was deep cleaned and sealed. 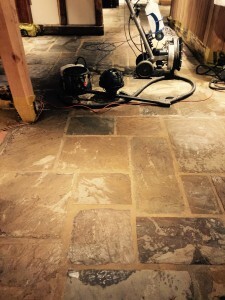 Customer testimonial We were given the task to revive the original flagstone floor that had been maintained very poorly for a number of years. It was a commercial project(trading Pub)in a sensitive environment demanding out of hours works. This wasn’t a problem for Dave and the Team. 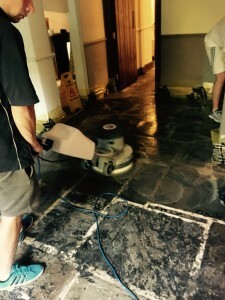 The work was carried out very professionally and promptly with minimal fuss. I Would recommend using David Carson and the tile doctor team for any flag stone restoration projects we have based on the recent work they completed. Nice Post! Thanks for sharing this information.